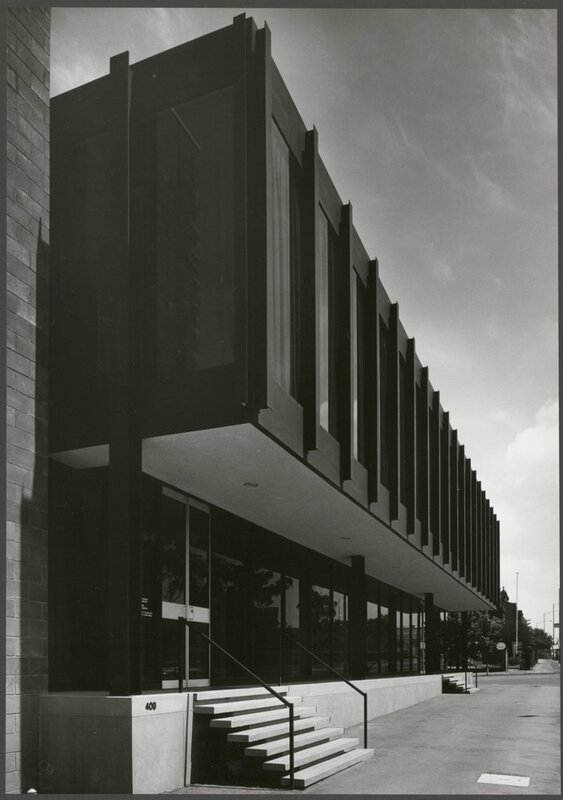 Note: Docomomo Australia – Victoria will be making a submission objecting the development and any members who would like to do so individually should write to the Melbourne City Council. 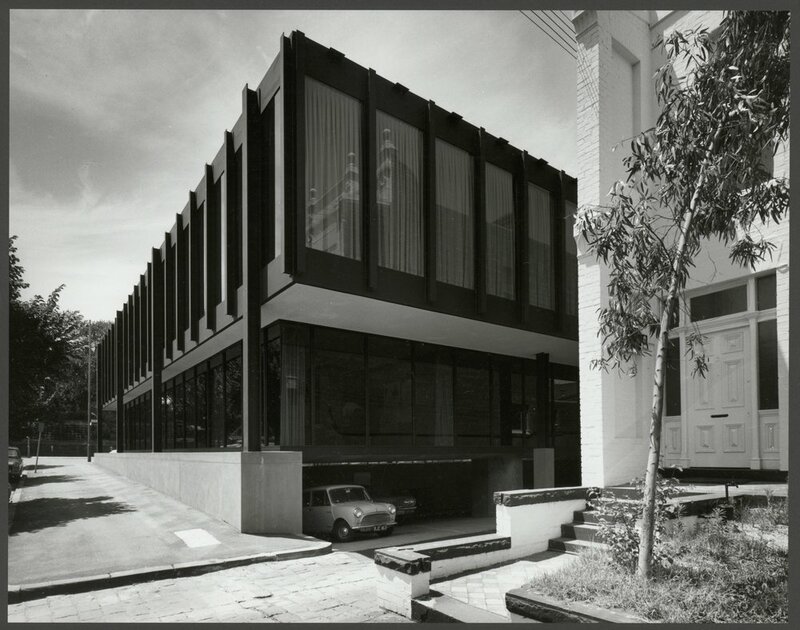 One of Melbourne’s best, but least known, heritage listed modernist gems, on King Street opposite the Flagstaff Gardens, is proposed to have a tower poking out the top – if you dont like what you see, then send the City of Melbourne Planning section an objection like our linked below! 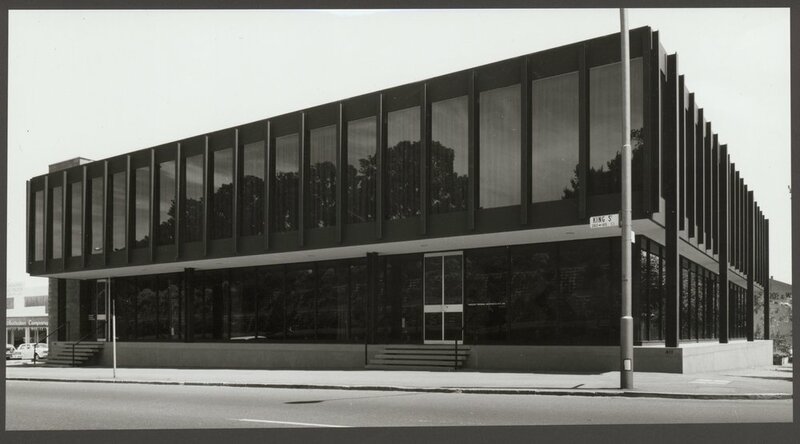 Built as the offices of Yuncken Freeman in 1970, and elegantly detailed with expressed steel columns, inspired by German/US modernist master Ludwig Mies van der Rohe, this unassuming building is one of Melbourne’s purest modernist masterpieces. Melbourne Heritage Actions believes that while a large scale development on this site might be inappropriate, steps must be taken to better ensure a design more sensitive to the heritage listed building below, with greater setbacks and a stronger separation between old and new. As reported in March by the Sydney Morning Herald, not mentioning Yuncken Freeman, the property at 407 King Street was sold for $14.6 million to a foreign investor.